As the aging process kicks in and your mobility starts to decline, you might find that everyday activities such as eating, drinking and cooking become more difficult, particularly if you suffer from conditions such as rheumatoid arthritis or Multiple Sclerosis, which can make it difficult to move your wrists and fingers properly. Thankfully, there are gadgets available that can help to make these types of tasks less difficult. This article discusses some of them. Gripping things can often be a problem for those who suffer from conditions such as rheumatoid arthritis, and it can be very easy to accidentally drop things. If this involves hot drinks, there are significant safety issues connected to this problem. Cup grips are available to reduce the chances of grip-related accidents. They make it easier to grip the cup, and some also have lids to further reduce the chances of an accident if you still have grip problems. The fancier options also have useful technology, such as built-in temperature sensors. These types of electronics are particularly useful if you have a health condition such as Multiple Sclerosis (MS), which can affect your ability to accurately gauge the temperature of objects when you pick them up. Turning the handle of the typical can opener can be a nightmare if you struggle to grip things or have trouble moving your hands. You can buy specialist jar openers that wedge underneath the lid to easily lift it off. 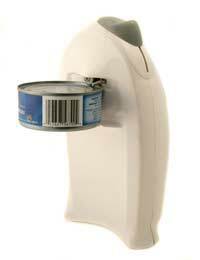 You can buy specialist can openers that latch onto the pull ring to pull it off. These will work on almost any jar or can. Bottle openers can also be bought. If you have lost most or all of the strength and mobility in one hand, there are chopping boards that hold the food in place so that you can cut without needing to use both hands. You can also buy knifes, forks and spoons that are specifically designed for people who have trouble gripping ordinary eating utensils. These will often have angled handles to reduce strain on the wrist. They also reduce the chances of cutting yourself on the blade of the knife. For seniors who are suffering from mobility problems, eating and drinking gadgets can prove very useful. In many cases, they can be the difference between being able to carry out everyday tasks that most people take for granted and having to rely on other people to do them for you. Because of this, they offer a greater degree of independence to seniors who would otherwise be in great difficulty. These are specialised products available to help with many tasks in the kitchen, although it is worth noting that there is a wider selection available in the United States (which has a high rate of arthritis, and is often more geared up for gadgets to help sufferers) than in the UK. If you want to order gadgets from the US, bear in mind that you will have to pay postage on top of the price of the product, which can make your order a lot more expensive. In some cases though, you may find that the specific gadget that you require is only available in the US at the moment. In this situation, it is often worth spending the extra money, especially if you have significant grip and handling difficulties and struggle to do much for yourself.